You might be wondering, how can you be a “Startup CEO” in the military? Well, without going into too much detail, I was responsible for a new, one-of-a-kind system that was recently developed and had not been proven yet. The previous platoon leader did a great job putting it all together. Now it was my responsibility to prove it worked (think “disruptive technology”) while still developing it (think “lean startup”), marketing it to the key decision-makers (think “product-market fit”), and leading the 25-person team who made all the magic happen (think “startup team”). We had an amazingly talented, smart team who were dedicated to our success. You may have experienced the same thing I did. 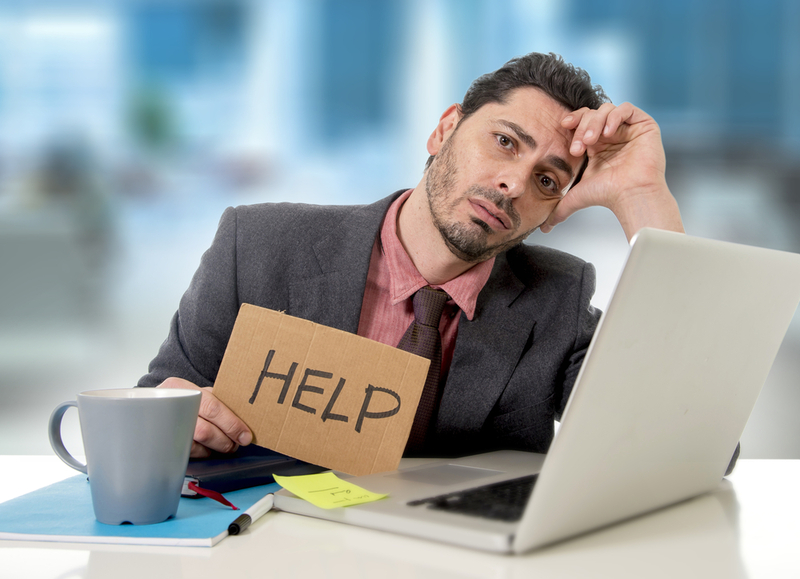 Talented teams sometimes suffer from waning enthusiasm and need help boosting their spirits. The challenges of scaling a startup can often have an impact on morale. One of our responsibilities as a Founding CEO is to inspire, uplift, and rally the team during these tough time periods. I encountered a similar situation with my platoon. And, I thought I knew the antidote. We needed our own “guidon.” Guidons are basically flags on a stick that have some sort of cool picture (think “startup logo”) that represents the mission of the unit. So, what was my mistake? I sourced the designer. I choose the image. I bought the materials. I approved the design. I had it constructed. I presented it to my team…with lots of excitement. They hated it. It didn’t raise morale. It made matters worse. And, it certainly made me look like a fool. I was devastated. Asking for help as a Founding CEO can be a tricky endeavor. My ears perked up when I recently interviewed, Mark Goh, Co-founder & CEO of ChargeSpot, on a recent podcast episode. I was excited to hear Mark talk about this. It’s really an important insight that will continue to serve him and his team well. I think we Founding CEOs struggle with this because we are action takers. We are problem solvers. We are visionaries. We believe in our ability to influence, create change, and disrupt the world for the better. It can be even harder for our fellow Founding CEOs who earn lots of early positive media attention. The temptation to think you have all the answers and you don’t need to ask for help can be enormous. The question is, if you find it difficult to ask for help, how can you train yourself to seek the right help, at the right time, from the right people? 1 – Find a non-threatening person: It’s not always prudent to confide in your investors, board chair, co-founder, or spouse. Asking for help from them may have some very real unintended consequences. Think about the people around you who would be willing to listen, that you trust, and who might have some understanding of your business or industry. Ask if they might serve as a sounding board for just one conversation. No expectations. No judgments. Just listen. Finding a non-threatening person may reduce anxiety and increase the odds you might ask for help. 2 – Like/Dislike Inventory: There are things, roles, tasks, issues, etc. that we like and dislike about our role a CEO. Things that are natural and unnatural. Just brainstorm these two lists. Take a look at the dislike list. Put names of people next to the things you dislike. These are people who you perceive like what you dislike. If you can lean on the positive energy that they have for your dislike list, you may be more inclined to ask them for help. 3 – A different environment: I’ve coached hundreds of leaders over the years. There’s something about taking them out of their work/home/familiar environment that really opens their minds. Have you thought about taking a trusted team member, your co-founder, or even a mentor out of your typical environment and share your concerns about something that is bothering you? It just may increase the likelihood that you might ask for their thoughts or opinions. It’s a great pathway to asking for more help. 4 – Get clear: Hire a coach to aggregate anonymous feedback from the stakeholders and team members around you. Take a look at the feedback and continue to leverage the strengths they point out and ask for help on those areas where you may be more inexperience or limited in abilities. This will help you get clear on the areas you may need to ask for help. I’d like to think I learned to ask for help after my platoon leader experience. Years later, when I was a Captain and tasked with casualty assistance duty, I had to notify a family that their son had died on active duty in the Army. I was very concerned. I had never had that responsibility before. It was a terrible situation and very stressful. I asked our chaplain to accompany me. He was grateful to be asked. I was grateful he said yes because he had to pull the grieving mother off me after I told her of the horrible news. It was a tragic situation. We all need help at some point in time. Founding CEOs are no different, as Mark Goh pointed out in his podcast interview. We all have blind spots and development areas that are best mitigated with asking for help from others. I like what Ben Horowitz, former Founding CEO of Loudcloud, writes on page 207 of his book, “The Hard Thing About Hard Things.” He wrote, “…it is extremely useful from a psychological perspective to talk to people who have been through similar challenging decisions.” As a Founding CEO, tough decisions are one of the most common areas we need help with.